1 map : col. ; 68 x 75 cm. on sheet 71 x 46 cm. Includes insets: Pensacola area, Panama City area, Tallahassee area, Jacksonville - Jacksonville Beach area, Gainesville area, Lakeland - Plant City - Bartow area, Tampa - Clearwater - St. Petersburg - Bradenton - Sarasota area, Orlando - Winter Garden - Disney World area and Miami - Hollywood - Ft. Lauderdale area. 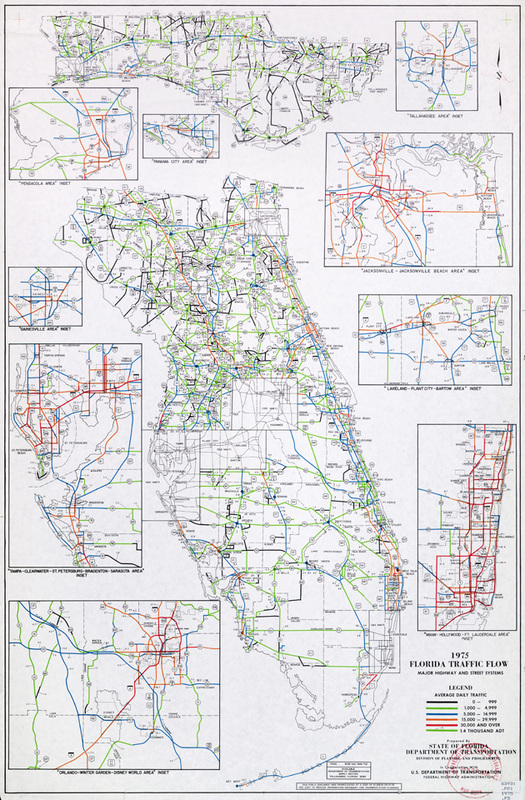 prepared by State of Florida Department of Transportation, Division of Planning and Programming in cooperation with U.S. Department of Transportation, Federal Highway Administration.